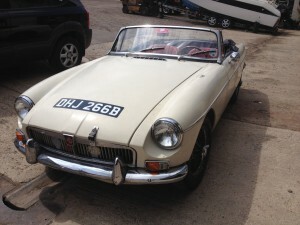 60s Chrome bumper MG RoadsterThis lovely little roadster had a great history. The MG belonged to the current owners father who had the choose of an E-type or an MG as a company perk whilst working in the states. 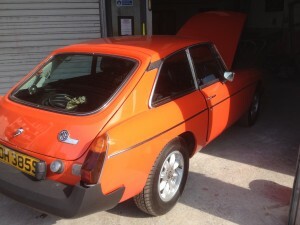 During this it life in the states it was stolen and used in an armed robbery. 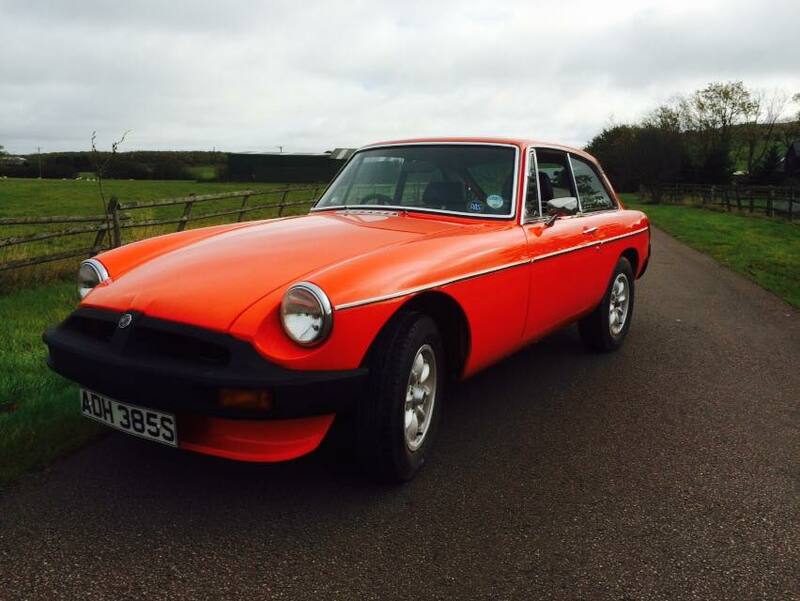 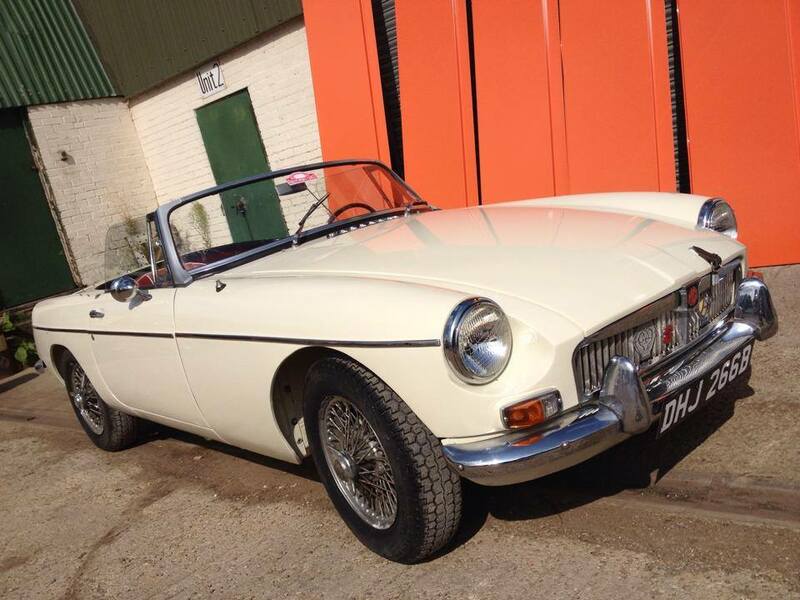 The MG was handed down to its current owner and has taken part in classic rallies and has great sentimental value. Generally speaking this classic convertible MG visually looked good, straight and corrosion free but the repaint process revealed unevenness, accident damage and minor rot. 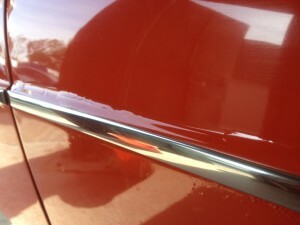 Top pic: Rear panel had accident damage covered over with filler. 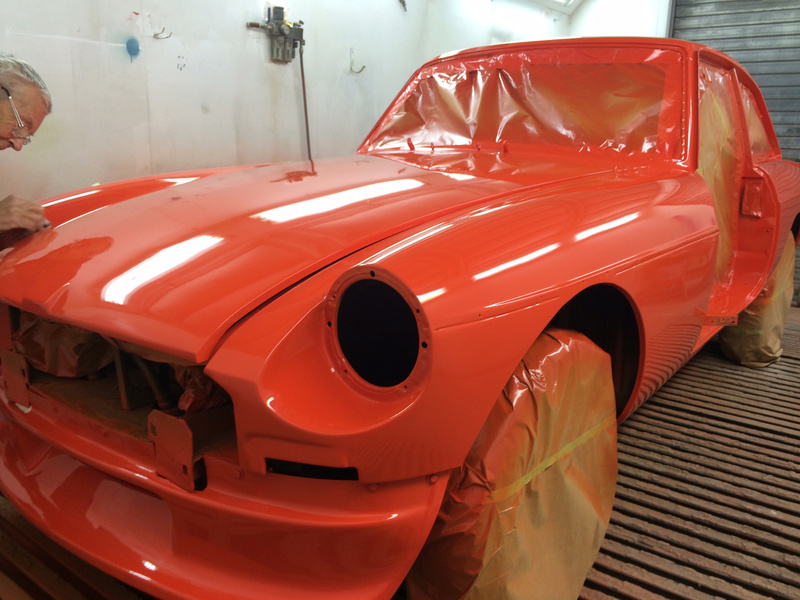 This is it during the panel beating to get it back in to shape. Middle pic: The scuttle panels and one front wing had to be stripped due to micro blistering caused by tiny points of oxidisation on the metals surface below. 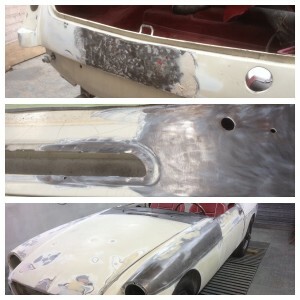 Bottom pic: Sanding of old paint reveals unevenness that was visually hidden before. 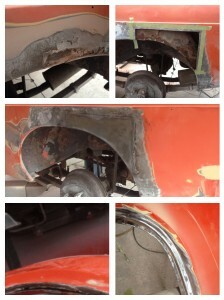 Top pics: Rust around wheel arch revealed filler used to replace rotten metal. moisture had penetrated and caused bubbling. Middle pic: We made a new lipped repair panel and welded it in. Bottom pics: rear hatch window frame had rotted out so we made a new frame and welded it in. 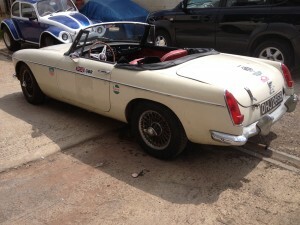 Both MG’s where primed and paint prepared as usual and then painted in there original colours.